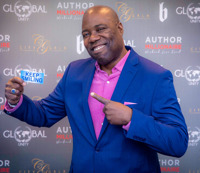 I have been working in the Sales and Personal Development field for over 30 years along side of Icons such as Les Brown, Greg S. Reid, Frank Shankwitz and many more. Now I want to pass on these secrets to you! Want to learn more? Follow me on my social channels, or contact me directly - I’d love to hear from you! regarding these needs as well.